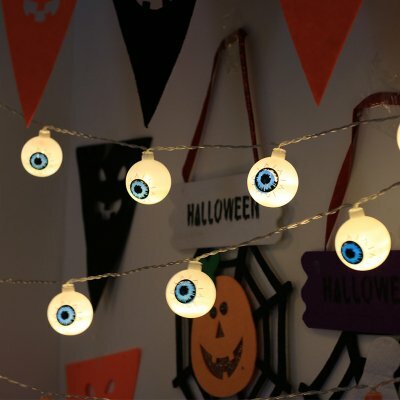 Successfully Added 2M 10LEDs Halloween Series String Light Night Lamp for Holiday Party Garden Decoration-Warm White Eyeball to your Shopping Cart. -- Made of top-ranking material, energy-saving and environmentally friendly. -- Low consumption, high brightness, easy to install and long life span. -- The lamp should be kept away from dampness, rain or mist. -- Perfect Halloween decoration for living room, bedroom, storage room, warehouse, balcony corridor, hotel, hotel, courtyard, garden, etc.